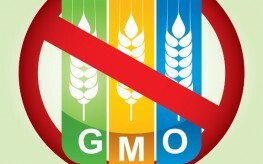 In another blow against the propaganda machine that has been fueled by GMO juggernauts like Monsanto and others, Maine will now become the second state (after Connecticut) to launch mandatory labeling for food products that contain genetically modified ingredients. A major victory, though it does contain a stipulation: Five nearby states must also adopt GMO labeling legislation. It’s certainly not what we wanted, though it does open the floor for the nearby states to get started on their own legislation. And amazingly, this move would affect a whopping 70% or so of all of the products that currently reside in Maine grocery stores in the event the neighboring states join on — a major hit against manufacturers that continue to cling to including genetically altered ingredients within their food items. It will be no surprise, then, when Monsanto and its goons attempt to sue the law out of existence by citing worthless science that GMOs are ‘the exact same’ as natural ingredients. Unfortunately, Monsanto has been successful in assaulting GMO labeling in the past both monetarily and legally. After all, you may remember when Monsanto openly impersonated federal agencies in order to quell California’s Prop 37 GMO labeling campaign — a move that they were able to get away with. The Maine decision is indeed a victory for awareness regarding the necessity and popularity of GMO labeling, but it is now up to us to push other states to adopt similar legislation in order to activate the campaign to the fullest level. I suppose the reason for the other states to adopt such a rule is from all the cross border(state)commerce that would make it impossible to enforce the labeling,but,you have corrupt New England states that may be easy for monsanto to influence or even blackmail the legislatures,massachusetts and rhode island spring to mind immediately , but even gangsters and those on their payroll don’t want their kids poisoned so perhaps we’ll see a meeting of the minds over this.